It looks like Airfix have attempted to neatly side-step colour controversy with the single option boxing of their new Mitsubishi A6M2 Zero kit in 1/72nd scale. Or maybe not. The unusual undulating demarcation between the dark green and grey (or should it be orange yellow?) might give novice modellers a few headaches. 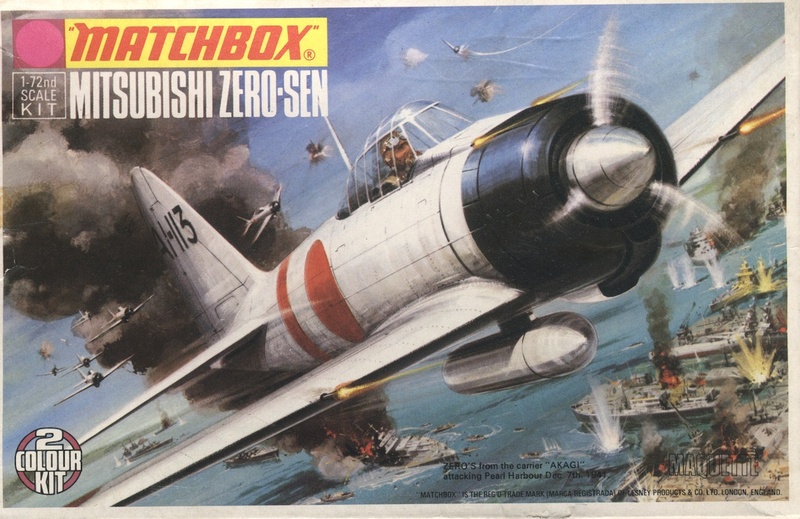 The box art is splendid although I'm not sure what a Tsukuba Air Group Zero is doing mixing it up with New Guinea era Thunderbolts! 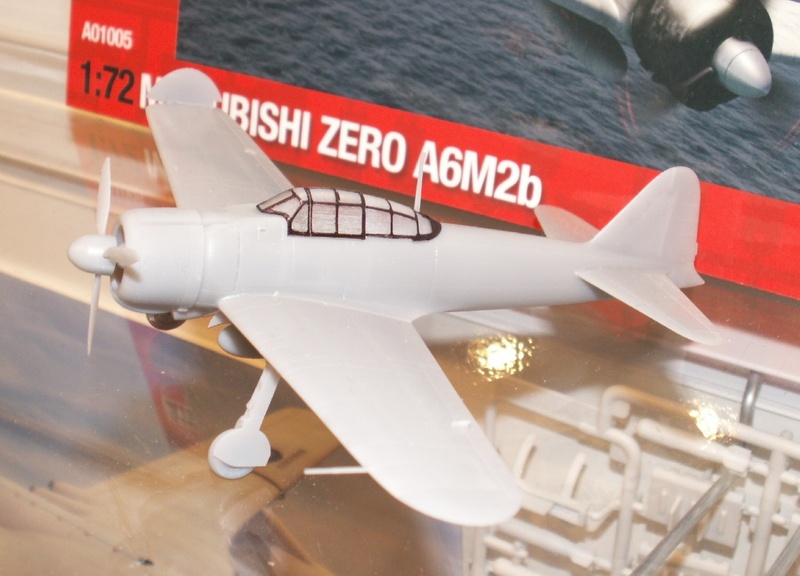 It will be interesting to see the painting suggestions in the future Pearl Harbor gift-set combo of P-40 and A6M2. No doubt the release of this kit will trigger the usual forum cycle of questions, answers and arguments. I'm looking forward to what I like to term the "Celebrity Novice" questions where the clueless and/or mischievous hold court as the experts and pundits desperately attempt to assert the supremacy of their advice and opinions in order to influence the painting of one individual's little plastic model. Aw, shucks. In their time the British manufacturer Matchbox (part of the Lesney Group which came to prominence selling inexpensive die-cast cars under the Matchbox logo) released a number of unique and very good kits. Jean-Cristophe Carbonel celebrates them all in a new and very interesting book about the marque published by Histoire & Collections in English. Unfortunately the Matchbox Zero of 1973 (amongst the first batch of kits) was not one of them, bearing an unfortunate similarity to a T-6 film mock-up. 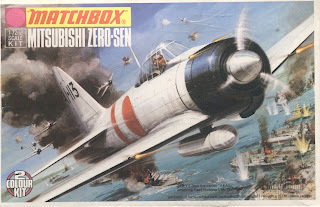 It was surprising therefore to read that Matchbox's Zero was apparently designed with input from Mitsubishi Industries in Japan. One can only surmise that whoever was contacted to provide information had a well developed sense of humour. The kit itself appeared over the years with two different versions of box art, both the fine work of the artist Roy Huxley. The fire-spitting original succumbed to a more sedate version in 1986 dictated by the marriage of marketing and political correctness. Both versions depicted the classic pale grey - almost off-white - of contemporary convention and belief; the painting instructions even suggesting Humbrol Hu.11 'Airframe White' (FS 37875) from their Authentics US Air Force Vietnam set. Two markings options were offered in the kit, an aircraft from the carrier Akagi AI-113 at the time of the Pearl Harbor attack and one from the Tsukuba Air Group, a stablemate of the future Airfix kit - Tsu-102 - identified only as a 'Naval Air Corps Operational Training Unit' in dark green with orange yellow under surfaces. When the box art and packaging were revised these options and the painting instructions did not change. After the demise of Matchbox the brand rights were purchased temporarily by Revell and a number of their kits - and others - were released under the Matchbox logo. The book asserts that the Mitsubishi Zero issued under this logo in 1996 (Kit # 40002 shown above) was "definitely from Matchbox pedigree". Mais non, M. Carbonel, not in the example I own it isn't! Lurking in the box ready to surprise and disappoint the unwary was most definitely the old Frog kit! 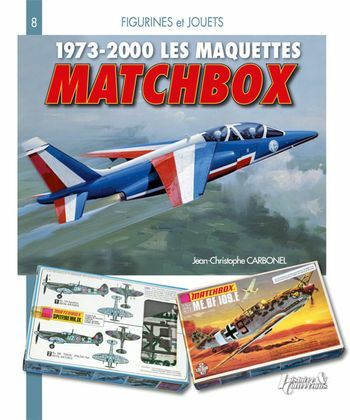 Joël Falconnet is quoted as remembering "huge errors concerning box contents" at this time which makes me wonder if any of the re-issued boxes did contain genuine Matchbox Zero kits? 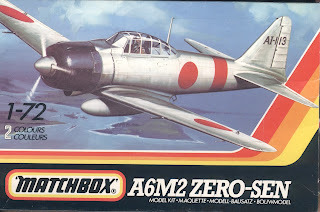 Despite its long run from 1973 to circa 1991 the Matchbox Zero kit is something of a rarity these days and the marque has a strong nostalgic following amongst collectors and retro-builders. Ah, yes, I can just see all the 'experts' on all colours Japanese coming out to berate the 11-year old who has has the sheer unmitigated gall to seek advice on how to correctly finish his Zeke model. 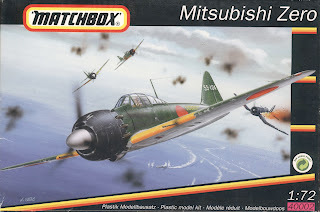 I had a cache of Matchbox kits, way back when I was still in the RAAF and they were great little models then. Airfix came many years before that, in the late 1950s for me and much to the detriment of my pocket money each week. 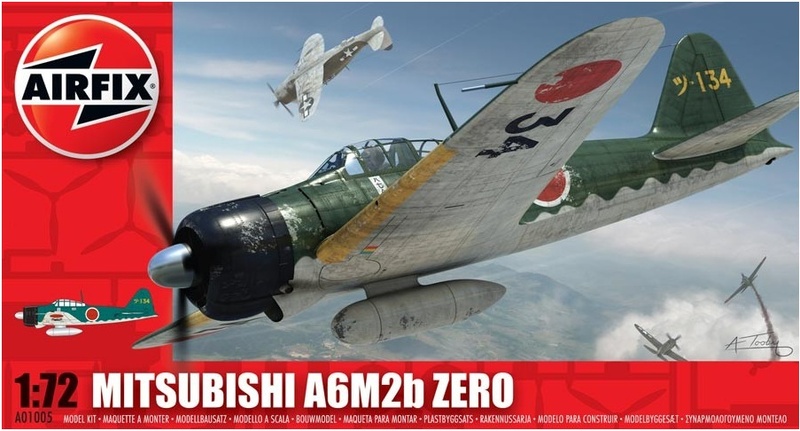 Airfix Aichi D3A1 Val Rides Again!